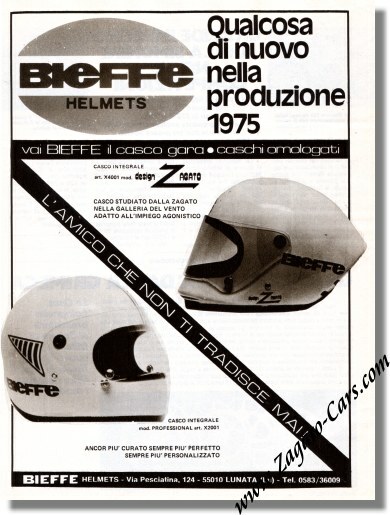 February 1970 Press Release for the newly designed Bieffe Helmets by Zagato. (Actual design by Ing. 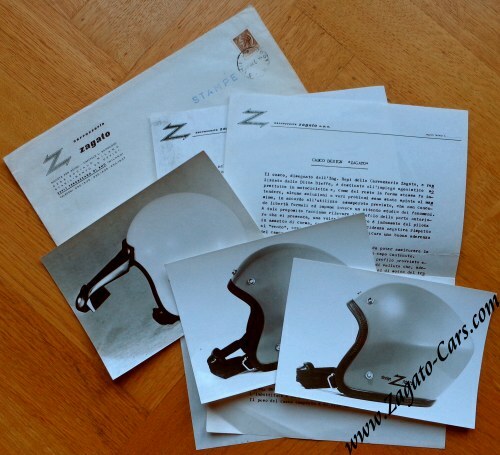 Rapi of Fiat 8V fame!). 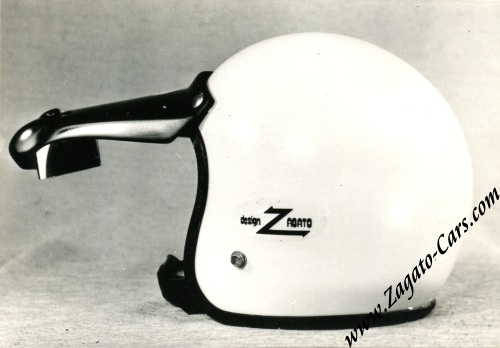 1970 Bieffe helmet visor with integrated rearview mirror, designed for Zagato by Ing. Rapi. 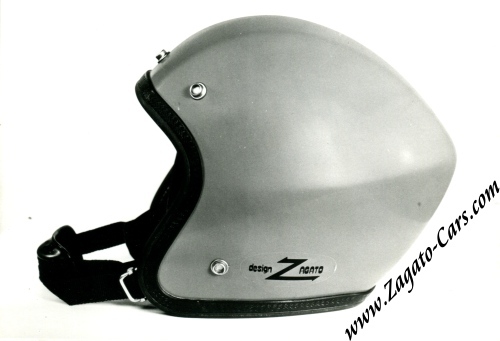 1970 Bieffe cross helmet designed for Zagato by Ing. Rapi. 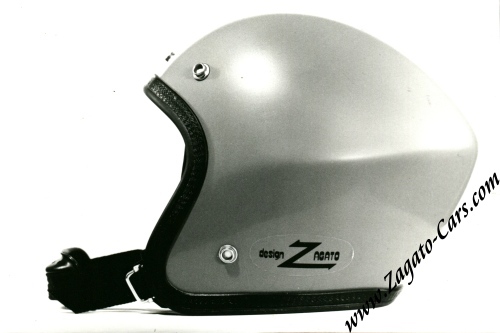 Bieffe Helmets by Zagato Advertisement announcing the Zagato full-face helmet to be part of the 1975 production.